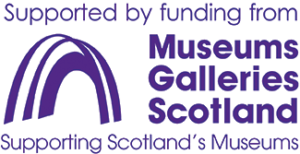 In 2014 Industrial Museums Scotland in collaboration with the Scottish Transport and Industrial Collectons Knowledge network (STICK) and with funding from MGS, produced a paper entitled ‘The Collection, Curatorship and Conservation of Large Objects.’ The popularity of this paper and conversations surrounding it highlighted the desire for more formal training on the subject. Delivering the course was a learning curve for all involved, but it was widely agreed that it was very successful and that all the participants had learned something new. As part of the “up-skill” element of the training exercise all participants were asked to give a “top tip” from what they had learned and also describe how they would take their learning back to work and share it with their colleagues.